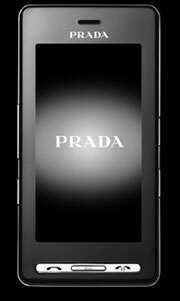 As rumoured a couple of months ago, LG and Prada have teamed up to launch a successor to the original Prada phone that launched last year. 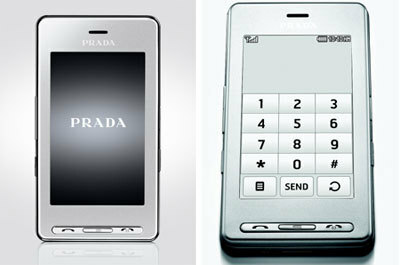 Fashion phones have been and gone since the LG Prada first appeared. But that’s not stopped LG from persevering with the handset, reissuing it in a silver colour scheme for 2008. This is possibly the most important techno story I’ve seen all week, it’s officially ok to be geeky. A new list of the UK’s most coolest brands has been released and the top 10 contains SEVEN firms related to gadgets, gaming and the internet. So if that’s not a reason to embrace your virtual friends and give thanks I don’t know what is. We’ve written about the LG Viewty phone before, and Susi even got hands on with it at the IFA show last week. 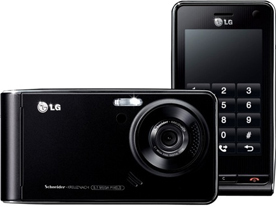 But today, LG has confirmed that its slinky 5.1-megapixel camphone will be available to buy in the UK from mid-October. 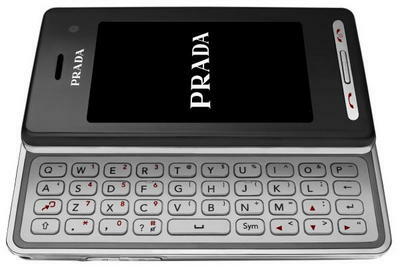 I’m quickly becoming obsessed with LG’s as-yet unreleased U990 mobile, with it having the aesthetics of the LG Prada, minus the Prada branding, and compensating by packing a huge amount of extra features for us less fashionable sorts who shop at Primark. Back in March this year I flew to Milan with LG to celebrate the launch of the LG Prada KE850 touch-screen mobile, and whilst chatting to a head honcho from the company, he let it slip that they were considering revamping the handset and even dropping the Prada affiliation, even before the launch of the first model. So good old LG is moving its chocolate-coated design to home-based audio systems, no doubt hoping some of the kudos won by its classy phone line will rub off on its other products. But would this work for other manufacturers? It may have escaped your notice, but there’s a new mobile handset called the iPhone coming out this Friday. I know, you’d think someone would have publicised it. One of the most intriguing elements of Apple’s handset is its tactile touch-screen interface, which goes further than merely dabbing at buttons with a stylus, and gets you using your fingers to swipe, slide and explore.